​Tumeric contains curcumin, a substance with powerful anti-inflammatory and antioxidant properties. Studies have shown that curcumin helps you to prevent or treast heart disease, cancer, metabolic syndrome, Alzheimer’s and various degenerative conditions. 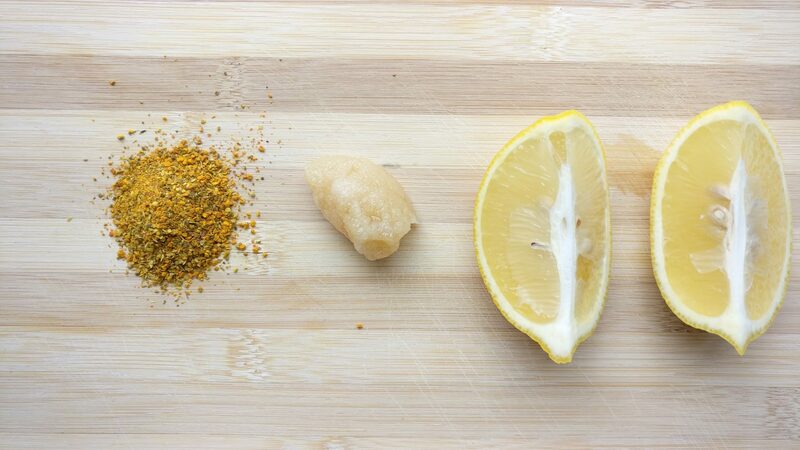 ​The lemon and honey compliment tumeric’s spicy flavor and give you vitamins and energy. A toast to your health! Enjoy! 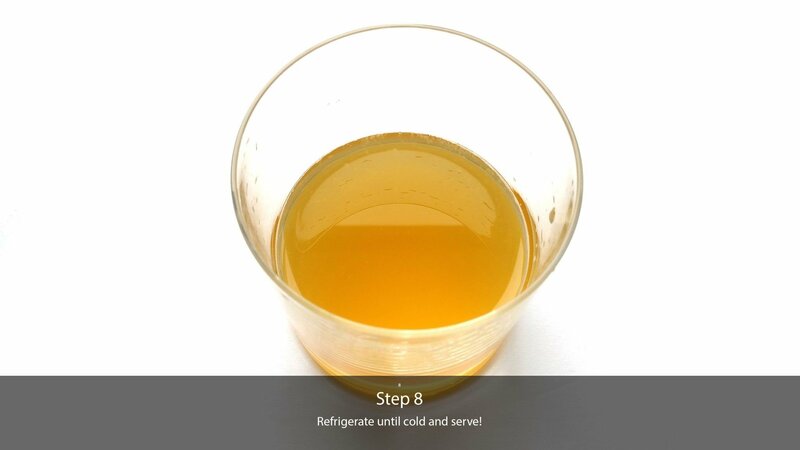 Boil approximately 200ml of filtered water and pour in to a measuring cup or bowl. 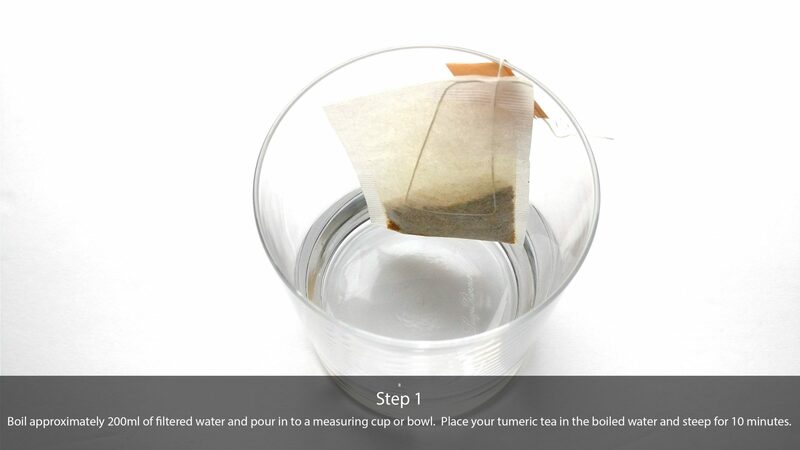 Place your tumeric tea in the boiled water and steep for 10 minutes. 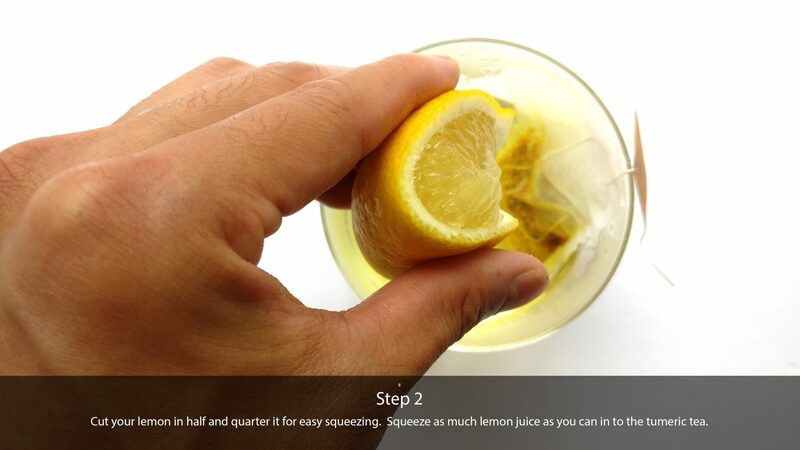 Cut your lemon in half and quarter it for easy squeezing. 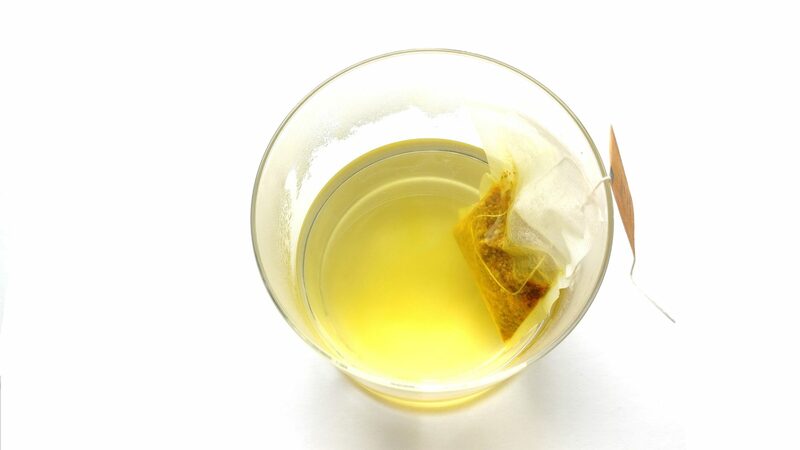 Squeeze as much lemon juice as you can in to the tumeric tea. 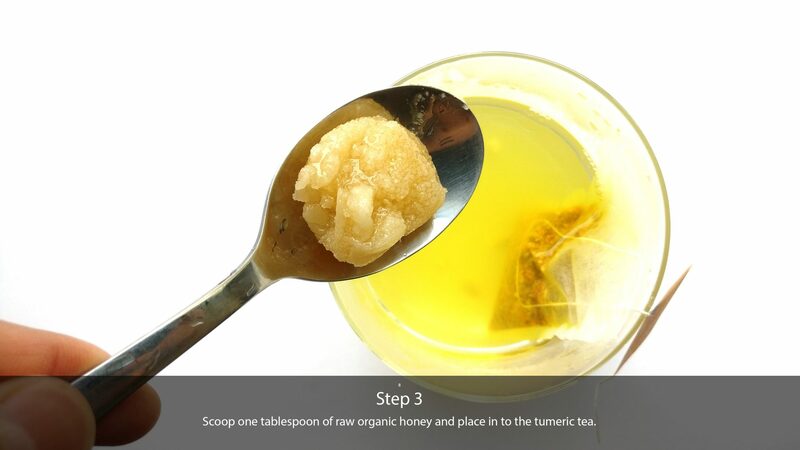 Scoop one tablespoon of raw organic honey and place in to the tumeric tea. Stir until fully dissolved. Leave the mixture to cool to room temperature. 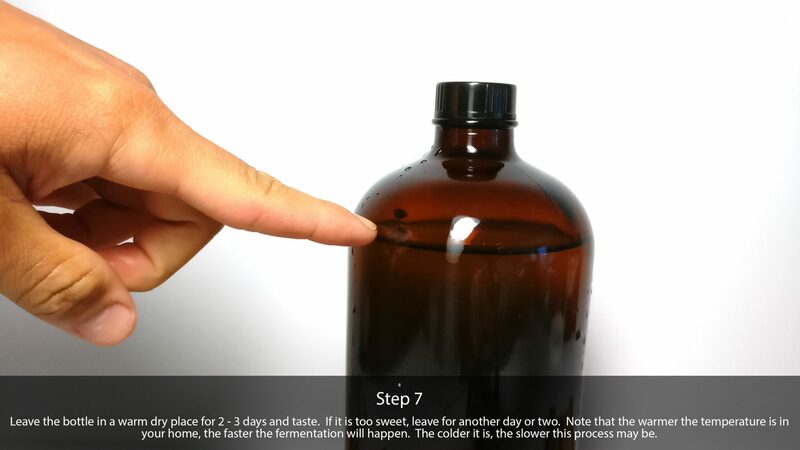 You can speed this process up by placing it in the fridge. 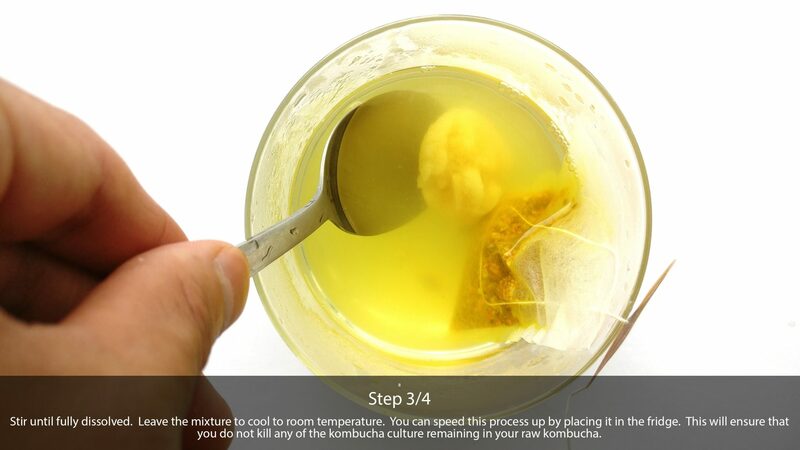 This will ensure that you do not kill any of the kombucha culture remaining in your raw kombucha. 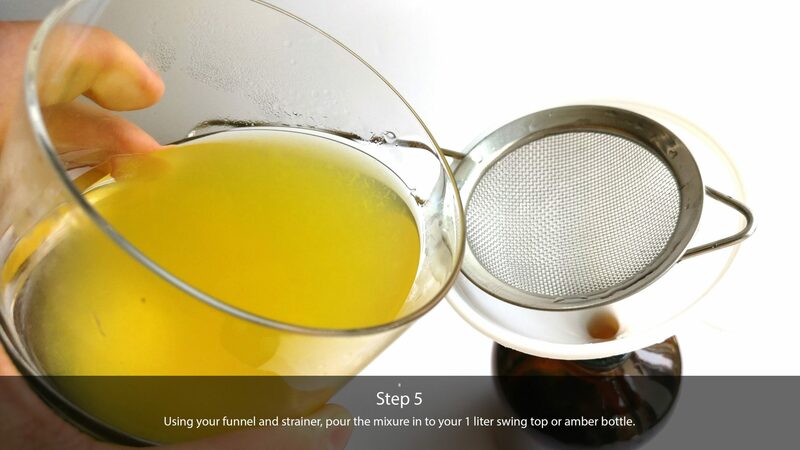 Using your funnel and strainer, pour the mixure in to your 1 liter swing top or amber bottle. 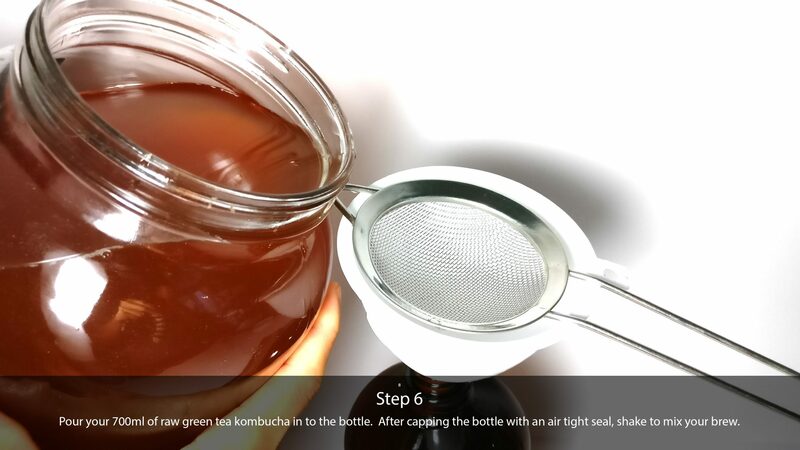 Pour your 700ml of raw black tea kombucha in to the bottle. After capping the bottle with an air tight seal, shake to mix your brew.